Estate Planning Services - Thompson Law, P.C. If you have only a will, or no estate plan at all, you and your loved ones are at risk. You could lose everything at the end of your life or if you and your family face bad luck. If you do pass away with assets, problems could arise surrounding inheritances. There are many different estate planning tools that are designed to protect legacies and provide for families and charities. You owe it to yourself, the people you love, and the causes that you care about to make use of these tools. Thompson Law, P.C. can help. What should be part of my estate plan? How can a Sioux Falls estate planning lawyer help? Everyone needs an estate plan. You need this plan to protect your wealth, address end of life issues, and provide security for yourself and the people you love. You need this plan even if you are not wealthy, even if you are young, and even if you do not have close family. You owe it to yourself to make your plans so you don’t give up control over your future and get stuck with default laws determining some of the most important issues in your life. You owe it to your family to make your plans to protect your legacy, and you owe it to yourself to ensure your the wealth acquired over your lifetime is used for something good. Your estate plan can be changed over the course of your life as your circumstances change, so you should not worry about making a final plan. You should reach out to Thompson Law, P.C. today to get started with your planning process so you have the documents in place to provide for a more secure future. A last will and testament: Your will can specify who should inherit and what your plans for your funeral are, among other things. Trusts: Trusts are a very powerful estate planning tool that can help you do many things, from avoiding estate tax to providing for spendthrift heirs so they can inherit in a way that protects them from squandering the gift you’ve given. Guardianship plans for children: If you have kids who are not 18, you must make a plan for their physical care and their financial support. Plans for your pets: You should take steps to ensure your pets will be safe in case something happens and you cannot care for them any more. Advanced directives: Your estate plan should include advanced directives for healthcare so you can make your preferences known in case of an incapacitating injury or end-stage illness. A power of attorney: Your power of attorney is a tool that gives you control over who manages assets and who makes decisions when injury or illness renders you incapable. A business succession plan: If you have your own company, your estate plan needs to include a plan for its transfer so it can survive you. Charitable remainder trusts: Charitable remainder trusts can allow you to make a plan for giving. You can also consider the creation of charitable foundations. Pay on death accounts: If you want assets to transfer right away to heirs or beneficiaries after death, pay on death accounts could be the answer. Assets with joint ownership: Jointly owned assets can transfer right away to new owners, without a risk of the transfer being contested. You may also want to include other things in your planning process, such as making plans for a relative with special needs to achieve a more secure life. Since your situation belongs to you alone, you deserve personalized help with your estate plan. 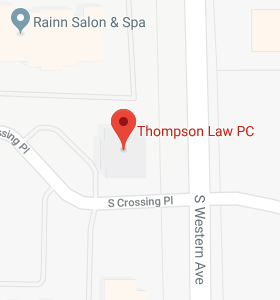 Call Thompson Law, P.C. to get that assistance. Thompson Law, P.C. has helped many families in South Dakota, North Dakota, Minnesota and Iowa with the estate planning process. Call our Sioux Falls estate planning lawyers today at 605-362-9100 or contact us online.